Announce to your neighbors, friends and the rest of the world that your child has graduated with a personalized photo banner like this personalized decor from GiftsForYouNow!This graduation banner may be personalized with any school color, your graduate's name, the graduating year and the school name to make a great way to congratulate your new grad. 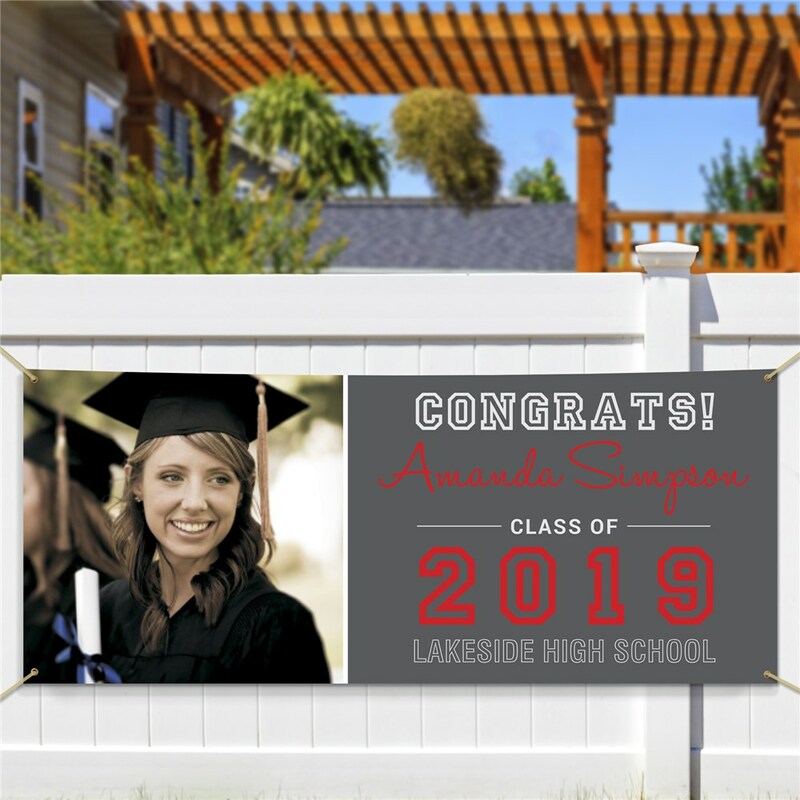 Our banners also make for memorable personalized graduation gifts that they can keep forever!For production purposes: Please enter a detailed description of the photo you are uploading. The banner looks great and shipped quickly!! Loved our graduation banner!! I was worried about the quality of the picture since it was being increased in size but it turned out perfect!! Good quality product. Arrived promptly and I couldn’t be more pleased. It will add so much to the celebration.